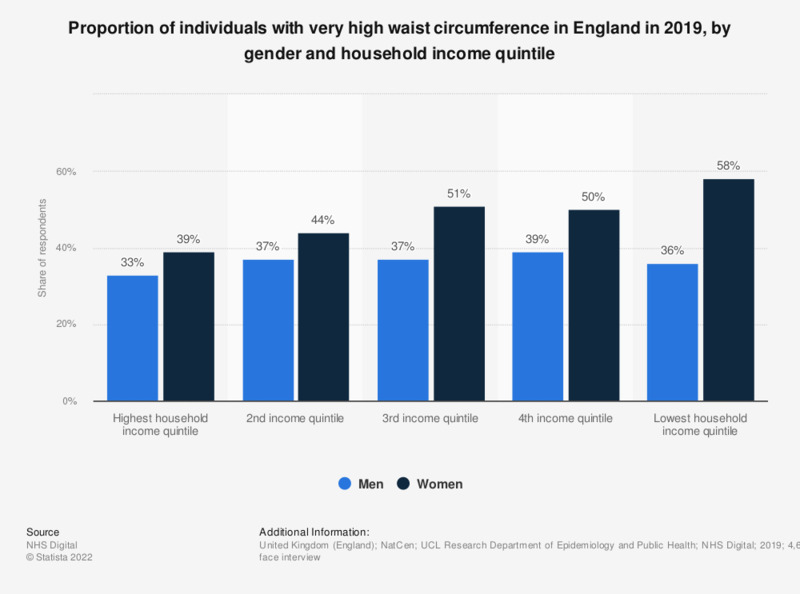 This statistic displays the proportion of individuals with a very high waist circumference in England in 2017, by gender and household income. In this year, 42 percent of men and 59 percent of women in the lowest household income quintile had a very high waist circumference. * Weighted bases: n (men)= 1,906; n (women)= 1,894.